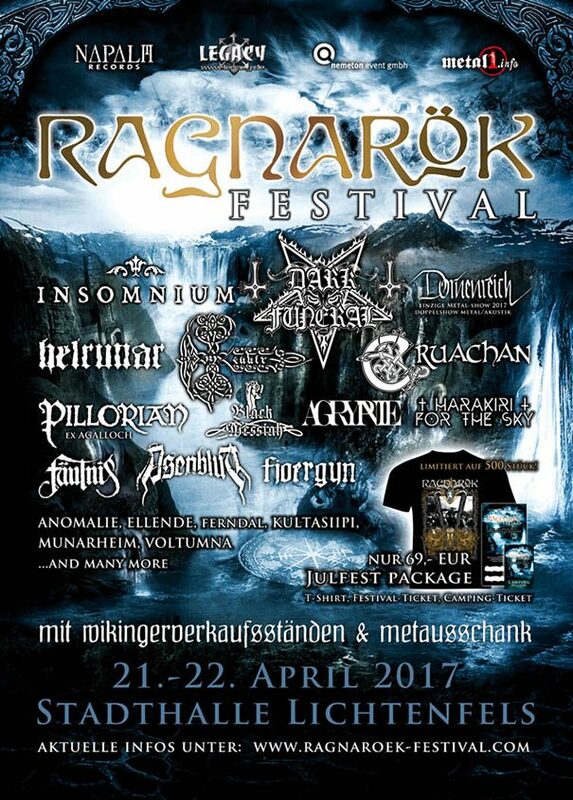 Ragnarök Festival 2015 will take place in Schießanger 1, 96215 Lichtenfels, Germany on April 10-11, 2015. Behemoth, Amorphis and Graveworm are among the bands that will perform at the Ragnarök Festival 2015. Wolfszeit will take place in Crispendorf, Germany on August 31 – September 1, 2012. Ensiferum, Alestorm and Dornenreich are among the bands that will perform at the Wolfszeit 2012 festival. Kreator, Arch Enemy, Satyricon and Behemoth are some of the bands that will perform at the Summer Nights Open Air in Burg Frauenstein, A-Mining am Inn, Austria on May 22-24, 2009.